Analogue dispatches every two months through 2019. Subscribe by March 28th to receive the May/June Issue Three. A few years ago I started building a soul-focused life, while still remaining engaged in the world around me. A life with pockets of quiet awareness. A life that was spiritual among the practical. And I kept notes along the way. I recently started thinking I’m probably not the only one searching for a way to live like this. So I decided to slowly go through my notes from specific seasons, to clarify and share what I learned about soul-level living. Analogue is the product of those notes: a field guide for the soul. Issues have journal excerpts, observances, stories and experiences, tools for you to engage the soul, prompts for reflection, mainly small adjustments you can make in your life to be more soulful and aware. Then Analogue is for you. Analogue dispatches every two months through 2019. Subscribe by January 28th to receive the Mar/Apr Issue 2. Need Issue 1 or 2? The first two issues have dispatched, but we have extras. If you’d like to purchase, holler at me: mandy[at]mandythompson.com to get it rolling. Get back to the Soul. 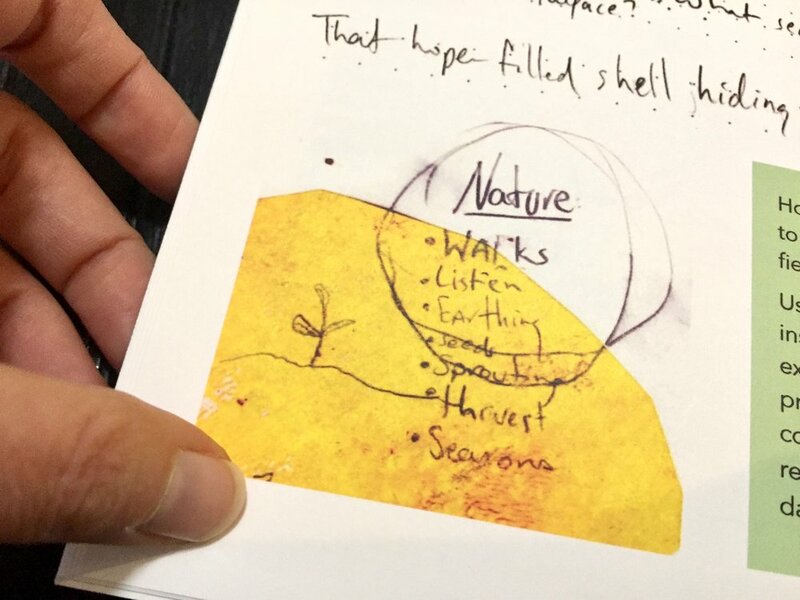 With prompts, sketches, and extracted entries from Mandy’s own journal, you will be inspired to re-engage your own soul, and return to that place where you can hear yourself think. Field notes make me want to pay more attention to capturing (noting?) my own. I'm asking questions, noticing patterns, and at times being slammed (SLAMMED) with waves of realizations. Oftentimes, too rapidly for me to comprehend, coming and going before I can grasp them. Thinking about voice-recorded journaling. Inviting. Calm. Peaceful. I liked being invited to respond and use the publication as a kick start for my own journaling.